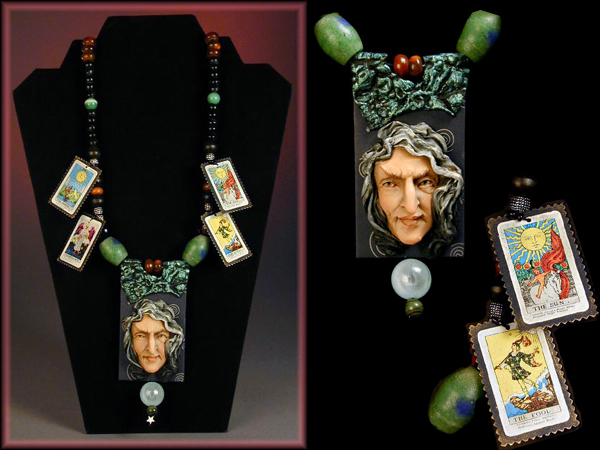 One of a kind Original 'Wearable Art' Necklace . Hand sculpted in Quality Polymer Clay and hand tinted. Vintage Beads and Findings, Speciality Art Papers, Miniature Tarot Cards.